Most companies have hundreds, if not thousands, of ideas on products, processes or services to improve the Customer Experience but they lack a supply of resources to implement all of these ideas. The Smart Selection Process identifies the most valuable ideas to achieve the highest efficiency of product development in the areas that matter most to your customer and your business. This session will enable you to think differently about prioritizing your projects and managing a high volume of cross functional teams, all marching to the same beat. We will use real world business examples in which the methodology can be applied across a variety of industries and disciplines. Don’t miss this insightful session wrapped in fun stories from high profile companies. Gain insight into the CX strategies and best practices of some of world’s top brands as COPC Inc. and a panel of select industry leaders explore results from the newly published Customer Experience Management Benchmark (CXMB) Series Corporate Edition report. CXMB Series research is a collaboration between Execs In The Know and COPC Inc. Reports are published biannually and features both Corporate and Consumer Editions. Featuring data from a survey conducted in the fall of 2018, the 2018 CXMB Series Corporate Edition report includes expanded research on the topic of artificial intelligence (AI), as well as ongoing coverage in critical areas like operational strategy and performance metrics. Find out what’s working, what’s still a challenge, and gain an insider’s perspective into each panelists’ organization as they share their experiences and expertise related to the most recent research. Customer Shop Talk sessions are small industry expert led discussions, on a laser focused topic. Join a group that is addressing a topic that is top of mind for you. Customize your agenda by picking which sessions to attend. In 2019, Customer Service Leaders will leverage new technology to redefine the operating models that power their global customer service strategies. What possibilities does technology open up? Where are the global leaders placing their bets? In this candid conversation, three CS leaders of major global brands will discuss the new operating models made possible by Artificial Intelligence. Should we invest time and resources heavily in deflection or in augmenting specialist humans to be even better and do even more? How is technology impacting your location strategy? What cities in the world offer the best balance of skills and cost for new digital channels? What strategies are working and what initiatives have been less effective than expected? Join us as we delve deeper into the innovations that have delivered global strategic successes for these three brands. In today’s day and age, customers expect their issues to be resolved whenever and wherever they need it. These demands, coupled with a growing list of customer care channels, can make it challenging to deliver an effortless and consistent customer care experience that includes the personalization consumers crave. Join Interactions as we talk with Allen Lee, Sr. Director of eServices at Symantec, to learn how an Intelligent Virtual Assistant helped Symantec provide a flawless self-service experience by predicting caller intent, improving automation, and more, all while maintaining brand consistency. HomeAway is a world leader in the vacation rental industry, with more than two million places to stay in 190 countries. HomeAway has undergone a remarkable transformation over the past several years, from a traditional digital advertising platform, to a fully ecommerce enabled, two sided digital marketplace. During the course of this journey, the customer experience team has evolved rapidly to create robust traveler support services, to increase trust and safety across in the marketplace, and to adapt policies and procedures to reflect the balance between the needs of owners/property managers and travelers. Please join Peter as he shares what drove this multiyear transformation, technology leveraged to help, interesting challenges along the way, and what the future holds for HomeAway and their customers. After a full day of discussions, join us to see concepts live in action and learn how they can be applied to improve CX in different channels and processes. In combination with our cocktail hour, the comfortable, relaxed setting will be the perfect backdrop for engaged conversations and learnings. We have a fun evening of great food, music, and networking planned for you. Emotional loyalty is far more powerful and enduring than transactional loyalty. Like our most valued personal relationships, emotional loyalty to a brand is based on a reciprocal relationship built over time. Cultivating this level of affinity is highly valuable – but very challenging – and requires customer journey mapping in order to focus efforts strategically. Brad will share relevant examples from his time at both Starwood Preferred Guest (SPG) and Peloton on investing disproportionately at key ‘moments of truth’ in order to maximize emotional ROI. Moments of Brilliance are short sessions that attendees will self-select and rotate every 20 minutes. We will have 3 simultaneous sessions taking place and attendees will be able to choose 2. When the team at Dell EMC — a company known for enabling digital transformation for its customers — decided to transform its own eService experience, they developed a two-part playbook focused on eServices and knowledge management. Starting with eServices, the team is now well on its way to make each of the company’s 200M+ annual self-service visits fast, accurate and relevant… with the deep analytics to enable a culture of continuous improvement. And, they’re about to begin the next phase to evolve the way the company manages knowledge. The AI Committee is excited to showcase the culmination of their work which has resulted in a practical playbook for service leader that offers definition and consideration for the decision making and implementation of AI. Join the session to take advantage of insightful case studies that demonstrate what is working, what the future might look like, and what you can do to prepare yourself and your organization to harness the possibilities of intelligent machines in customer service applications. 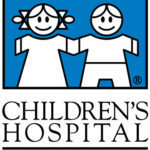 1:30 P.M. – 2:15 P.M. Keynote: Children’s Hospital New Orleans – Change starts with culture, and people are the culture. New Orleans-based Children’s Hospital has embarked on the most ambitious project in its 60+ year history, with a transformational $300 million renovation and expansion project underway. This transformation will allow the hospital to deliver the most advanced care possible, as a national leader in children’s healthcare. Children Hospital leaders will share how the hospital’s innovative vision and investments in people, infrastructure and technology are changing the face of healthcare for ALL children now and into the future. The foundation to this change is building a culture of inspired excellence. Children’s Hospital’s inspired vision to become a national leader in children’s healthcare is underway with a transformational $300 million expansion project. Named one of the 13 most important construction and development projects in the country by the Small Business Exchange, the project includes a complete renovation of the current main campus and surrounding property that will expand the footprint from 394,500 square feet to 629,500. The project includes creating new care centers for cardiac, cancer, emergency, surgical and behavioral health services, to name a few. You will visit recently completed projects including the new Hank & Betty Lauricella Pavilion and Hogs for the Cause family center, and get a preview of its future Behavioral Health Center. Experience firsthand the transformation of a pediatric hospital into a total environment of health that enables an exceptional experience for patients and families.